After all the acts of violence we have witnessed in this country and abroad, I decided to dedicate my blog for the next two months to messages of love and gratitude. 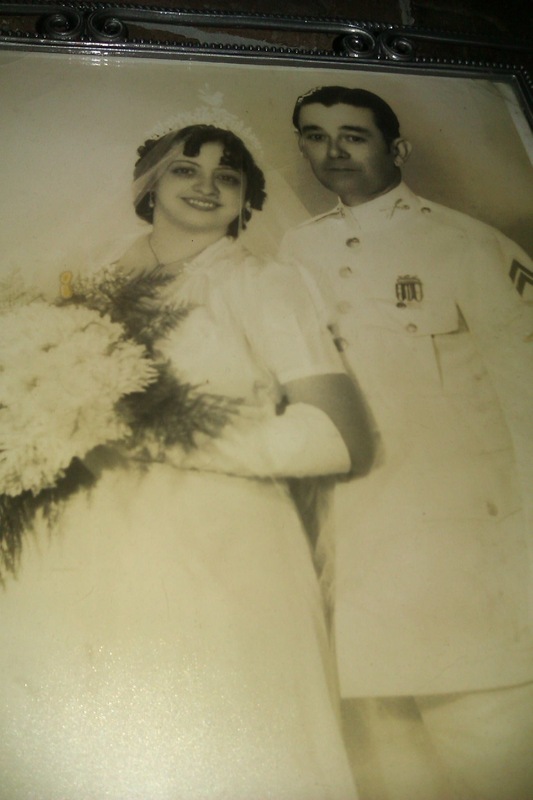 So, I asked my friend Carmen Teresa Zamora to write a tribute to her parents. Her message will put a smile to your face and also break your heart. I was asked by my friend Lorenzo Martinez to share my feelings and story about the separation from family when I left Cuba. Mine is one of a thousand stories of the 14,000+ Pedro Pan kids whose parents had the valor and selflessness to send their most prized possession to this country in order to escape communism. My parents divorced when I was a little girl but my father was always a constant presence in my life and my brother’s. The night before my departure, I went to his house to say “adiós.” I was 14 years old. At the time little did I know it was to be the last time I would ever see my daddy. He tried to be brave and put up a good front but I could see the suffering in his face. As I was leaving, I turned around and his pained face is forever seared in my mind (he did not go to the airport to see me off). As I’ve said before, my dad was and always will be the first man I loved and the only man who has loved me unconditionally. My mother went alone with me to the airport and I remember seeing her through the “pecera” (the glass enclosure that separated travelers from family) crying, and as I was boarding the plane, I looked back to see if I could make her out in the crowd but, of course, it was impossible. It took her 4 years to leave the island after many humiliations and detentions and having to go thru the pain of leaving my brother behind (he was of military age; Castro would not let him out). She worked very hard here holding 2 jobs, walking thru mounds of snow to catch a bus. She’s 98 years old and lives with me and I take care of her. I never saw my father again. He passed away in 1977 with the sorrow in his heart of never seeing me again. My parents are my heroes. Thank you for your love and sacrifice to ensure I had a life of freedom, opportunity and happiness. I love you both with all my heart. And thank you to this country, my country, my son’s and grandson’s country, for accepting and adopting me. Tagged Carmen Teresa Zamora, Cuba, Fidel Castro, leaving your parents, loving your parents, Pedro Pan, Pedro Pan children. Carmen, what a lovely, heartfelt tribute to your wonderful parents. It must have been incredibly hard and an act of total unselfishness for them to let you go, to escape communism. God bless them. Susan, I agree this is a heartfelt post. I can only imagine how difficult it must have been for her and her father never to have seen each other again. I’m sure that having her mother still alive and being able to care for her through love soothes some of the past pain. You touched the inner corners of my soul Carmen with your heartfelt testimony. I too, went through a similar experience as a Pedro Pan; my father was so heartbroken he could not muster the courage to see me off at the airport. I also thank God each and every day for my parents and their decision to send me to this blessed land where I grew up in liberty and freedom. Thank you Carmen for reminding us that despite the many problems we face in the USA, this nation is still the beacon of light and hope for humankind. What an inspiring post! It really does make all the difference to take the time and give gratitude in any circumstance. I am really touched by the love and gratitude you have for your family. How did your mom cope with the separation from your father? Marci, thanks for stopping by. Carmen has done a wonderful job of expressing her love for her parents. Indeed this is an inspiring post. It was very sad for me to read your story, and I would like to know what happened to your brother? Rosy, although I believe Carmen’s brother eventually came to this country, I’m not certain. I’ll let Carmen answer the question herself. Your story has been written from the heart. Although I am not a Peter Pan Kid, I remember the last image of my birth land. I was only nine years old and yet it is still there oh so present. Thank you Carmencita for your expression of love and gratitude for your parents. You speak for many of us. Silvia, the image of leaving one’s homeland behind will be engraved in the minds of all of us who left Cuba. Everyone who experienced that trauma, whether or not we were part of the Pedro Pan program,can relate to Carmen’s story. Thank you for visiting my blog and leaving a comment. Carmen Teresa, thanks for sharing your story, many of us had stories to tell although yours is a very painful one. I remember when we were in Camp Matecumbe that we all acted tough as were all teenagers, older that many of the kids in other camps. In Matecumbe there was a couple of public telephones which every one used to get in touch with their parents, well as tough as all were, at the end of the conversation you could see tears in many faces. You are correct the real heroes are our parents that also had to act tough with their feelings and inside it was another story. I would love to hear more of her story. Would you be able to email me at marciebadham7@gmail.com? Marcie, thank you for stopping by. I will ask Carmen if she would like to share more of her story. Right now, this is all she has written. Thank You Carmen for sharing your story. Thank You Lorenzo for making this site available to tell stories of love, gratitude and courage. Our parents had a lot of hope, love and courage doing what they did for all of us, Pedro Pan kids. There are 14,000 stories with many similarities as well as unique experiences based on our individual circumstances. Marta, I agree there are 14,000 stories out there that share many similarities, yet each one has unique experiences. Thank you for stopping by and leaving a comment.